From Table Mountain to Everest Base Camp… Eventually! 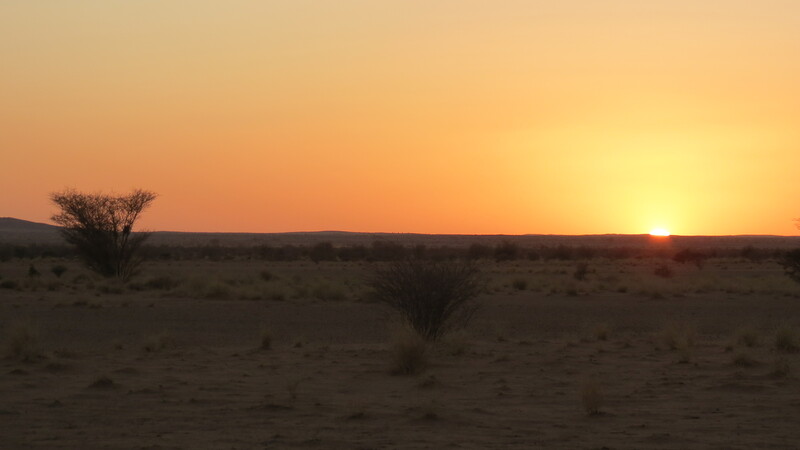 An unflinchingly barren landscape of sand, wind, and heat welcomed us into the north. 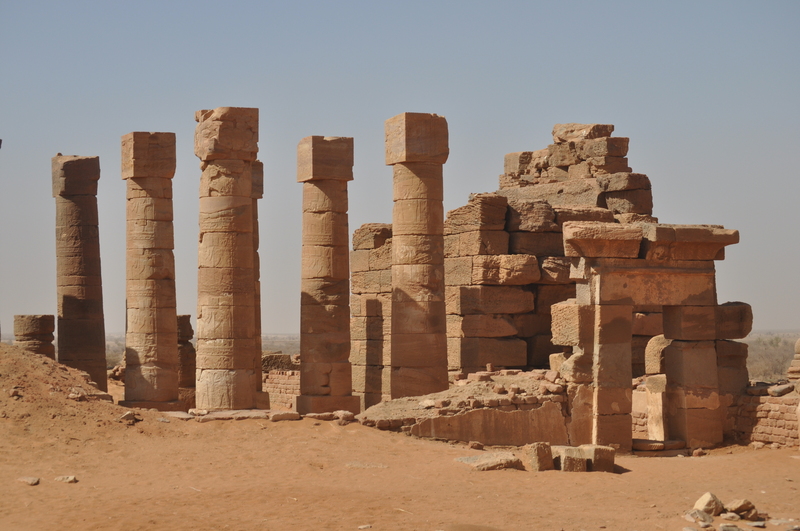 Unable to enter Egypt, we wanted a taste of what our end destination could have been. 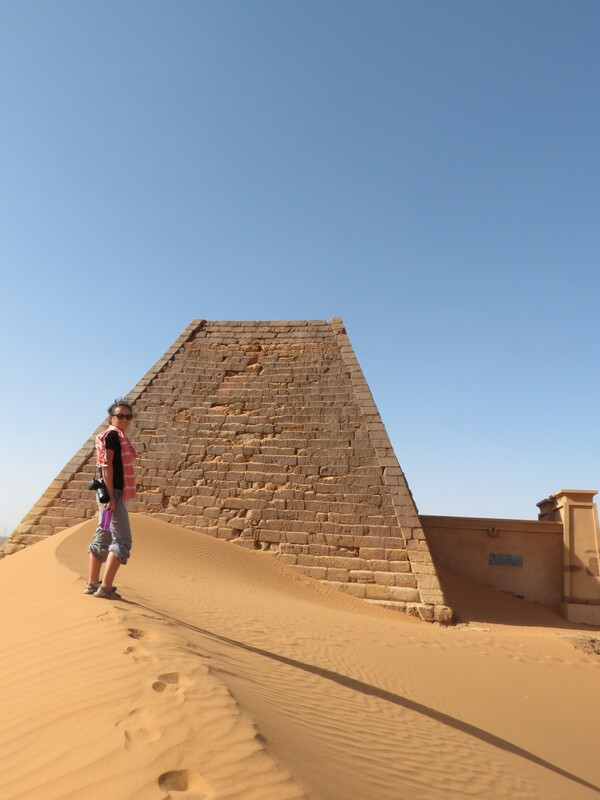 And so in search of Sudan’s ancient treasures, we journeyed northward into the vastness of the Sahara desert. 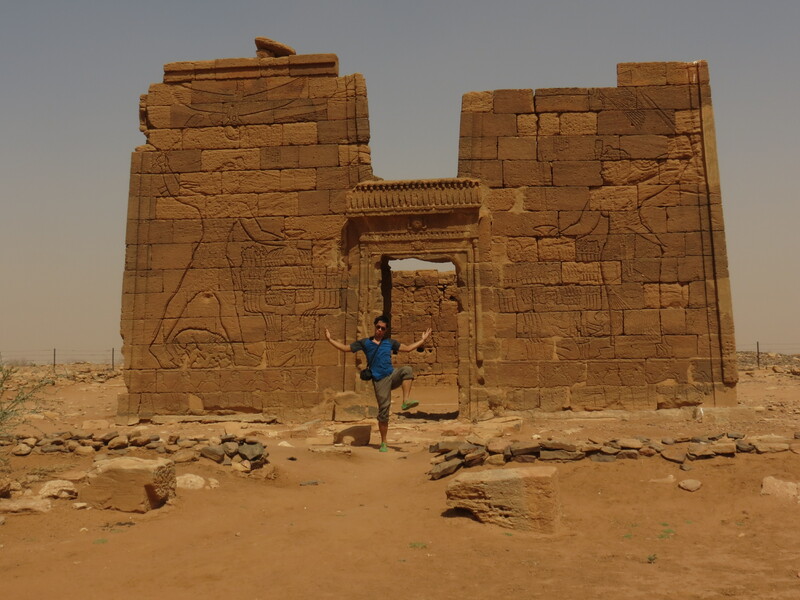 Our first historical site was Musawwarat, an enormous pile of ruins of which no one knows the purpose of, and of which is only accessible via private vehicle. Pulling up to the Lion Temple, we didn’t have to search far for the ghaffir. 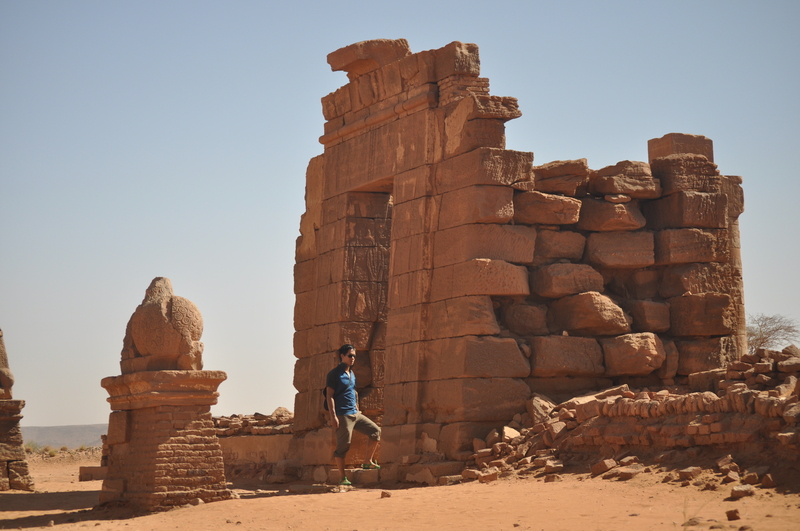 A man in a billowing white tunic and sporting Einstein hair greeted us in Arabic, and after a meager Arabinglish conversation, we were allowed access to one of the finest Kushite temples. Unfortunately, we completely missed the informational board (which, in our defense, was facing the wrong way). Thus most of the time, we were unsure exactly what we were looking at. But nonetheless, it was awe-inspiring. 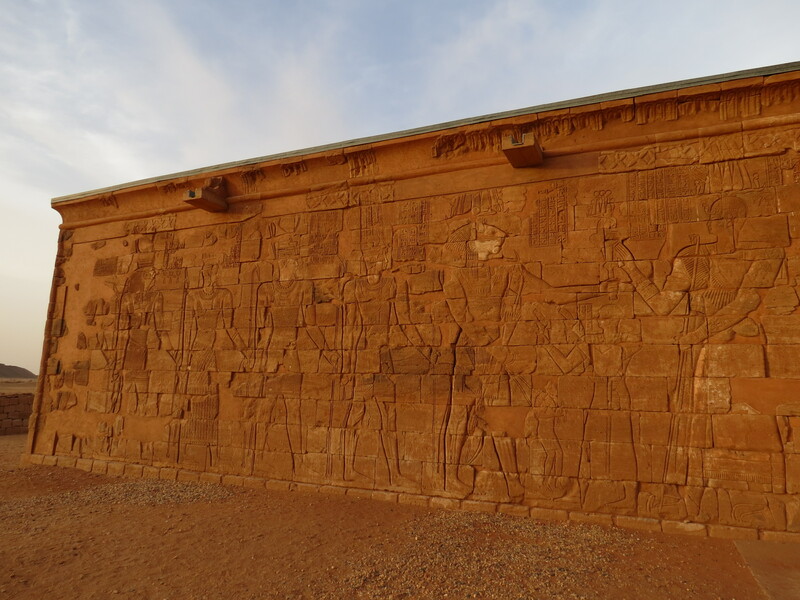 In the same vicinity is the Great Enclosure, a complex dating from Kushite history. From the ruins it’s easy to see how expansive this plaza must have been. As the sun set, we wandered the ancient hallways in silence, trying to conjure up who would have walked upon these floors. 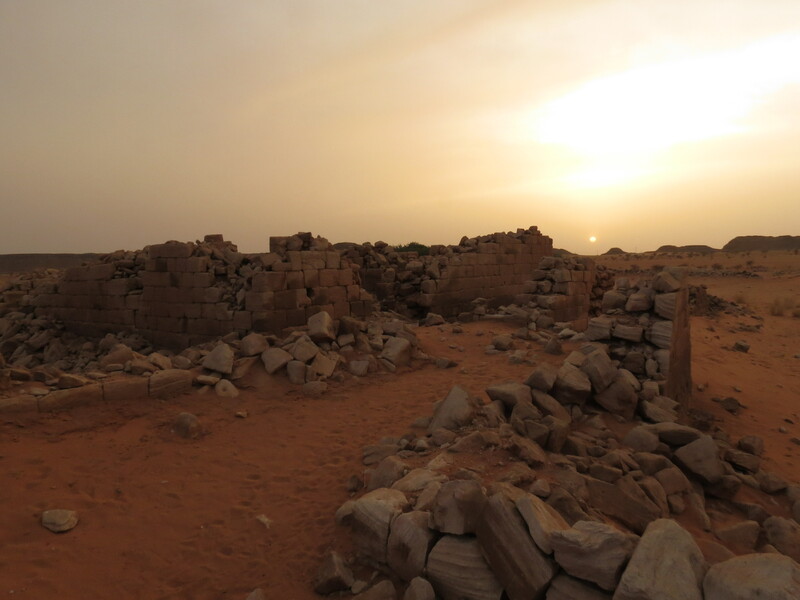 For an archaeologically significant site with over 200 pyramids, the Meroe pyramids are surprisingly accessible. 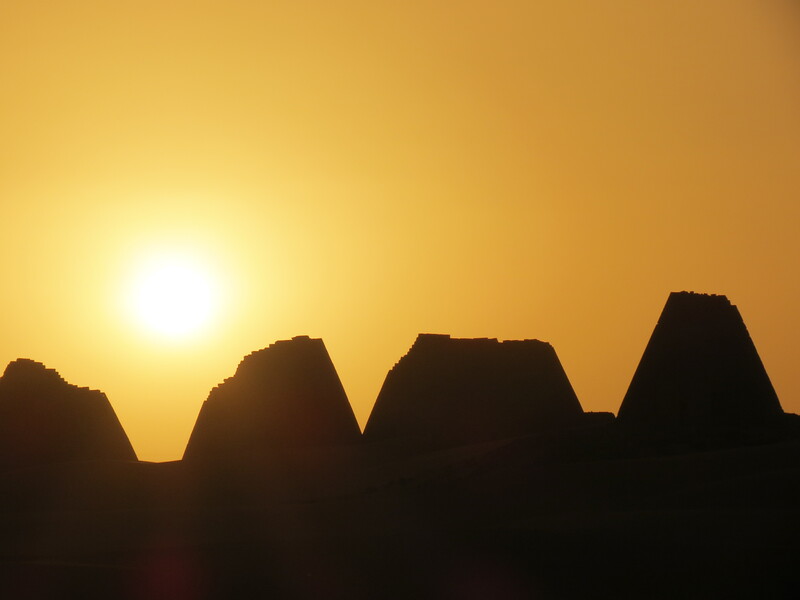 The north cluster pyramids, clearly visible from the main highway, are dwarfed by Egypt’s. But there’s a tranquility to these Sudanese treasures. Almost no touts heckle you, and on most days, you’ll have the 8th century B.C. pyramids completely to yourself. 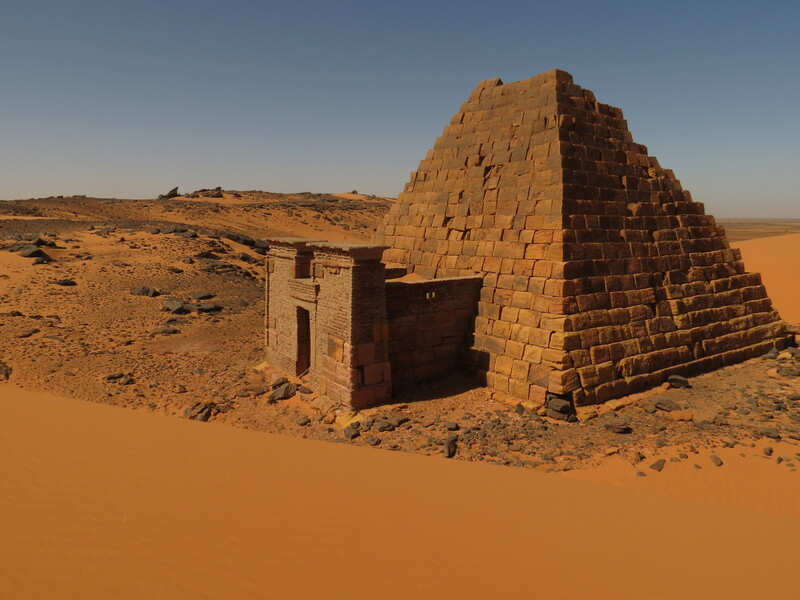 A little history we picked up: Unlike their Egyptian counterparts, these Nubian pyramids are built on top of the buried. 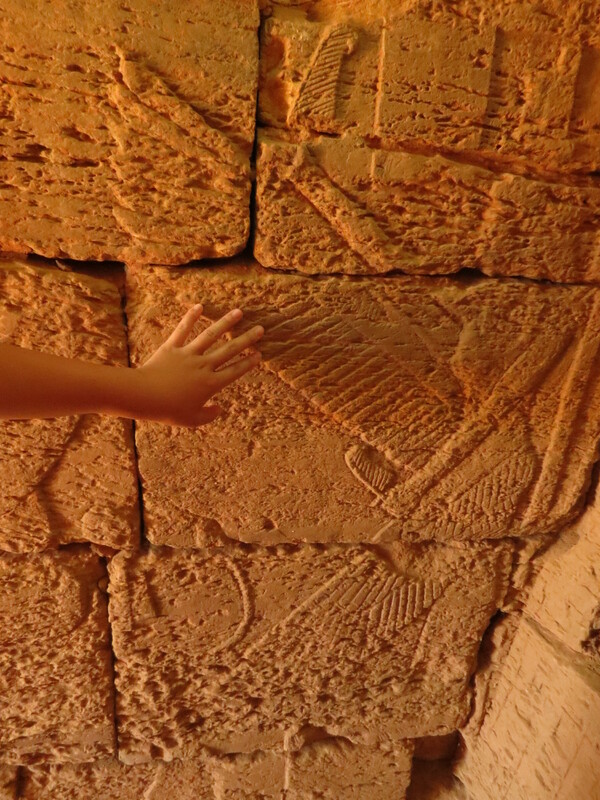 As a result, there is no labyrinth inside, but only a simple funerary chapel where offerings were made. 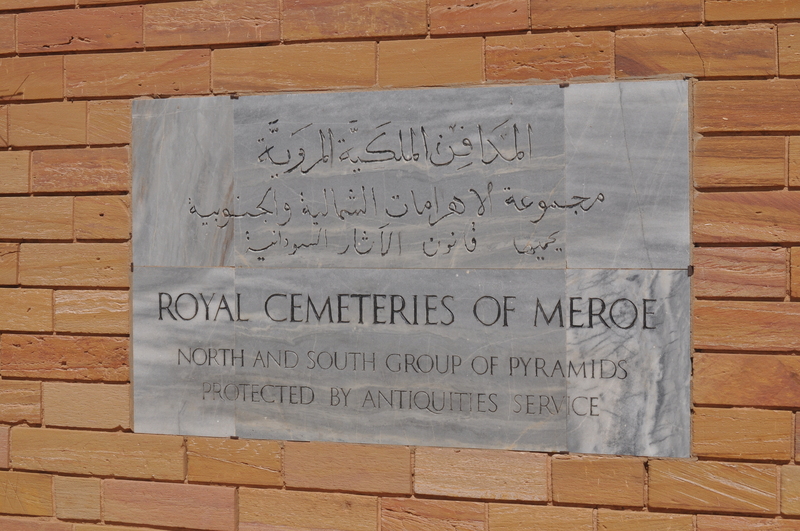 But that didn’t stop an Italian explorer, who lopped off the top of each pyramid in the hopes of treasure. 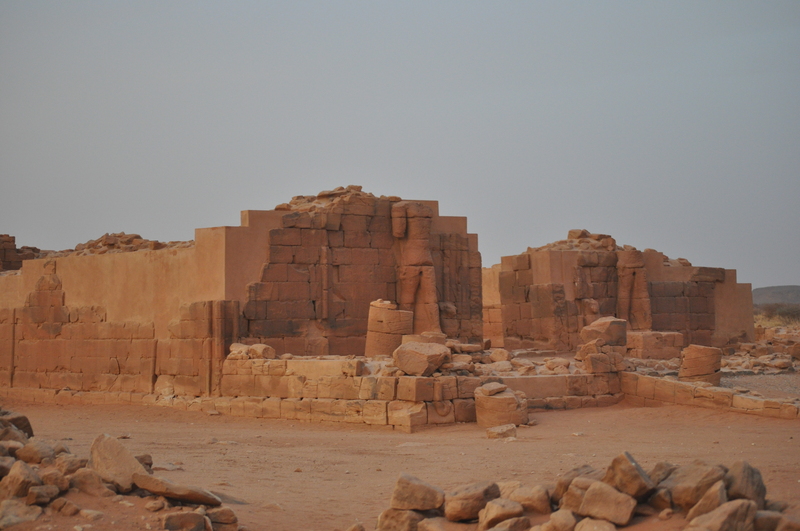 Besides some jewelry in the Tomb of Queen Amanishakheto, he walked away with nothing. 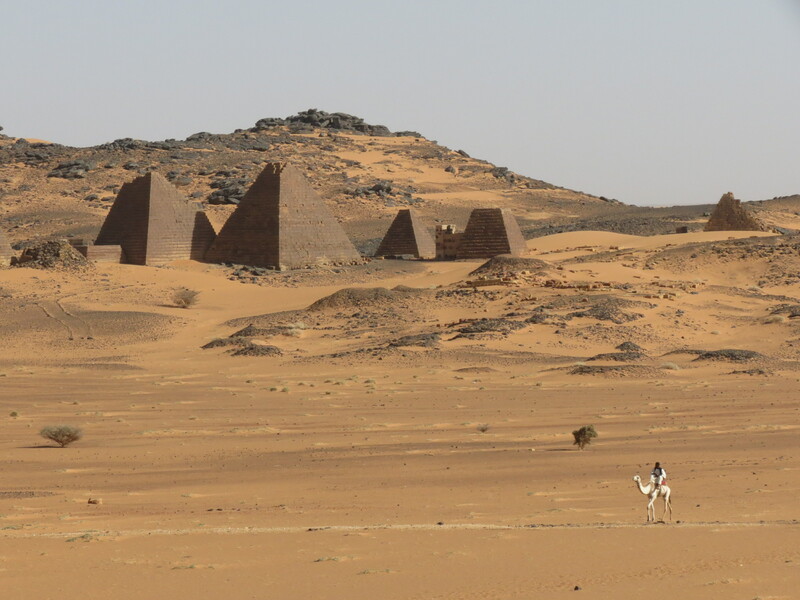 And Sudan was left with a field of decapitated pyramids. 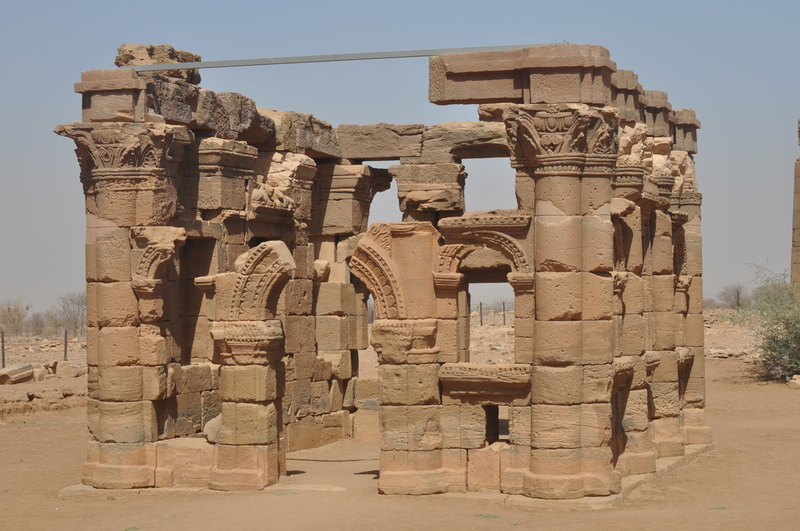 Possibly the best preserved Kushite site in Sudan, the Naqa ruins showcase Sudan’s classic architecture and artwork. 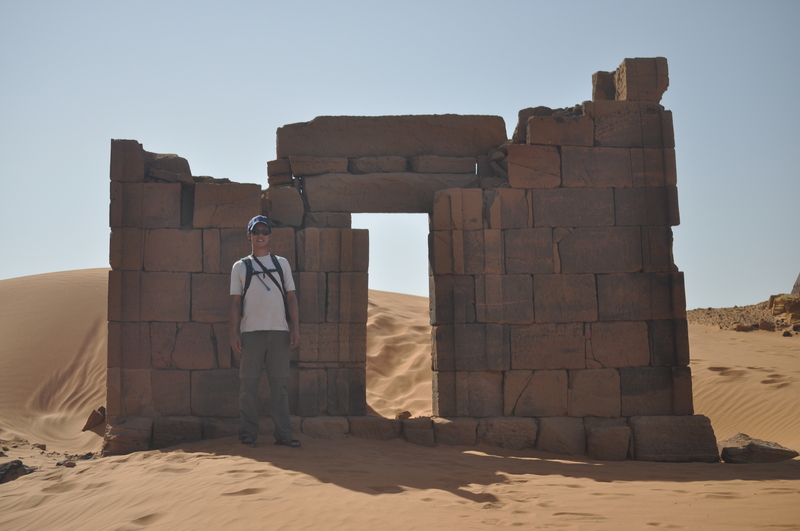 And so concludes our tour through Sudanese history. 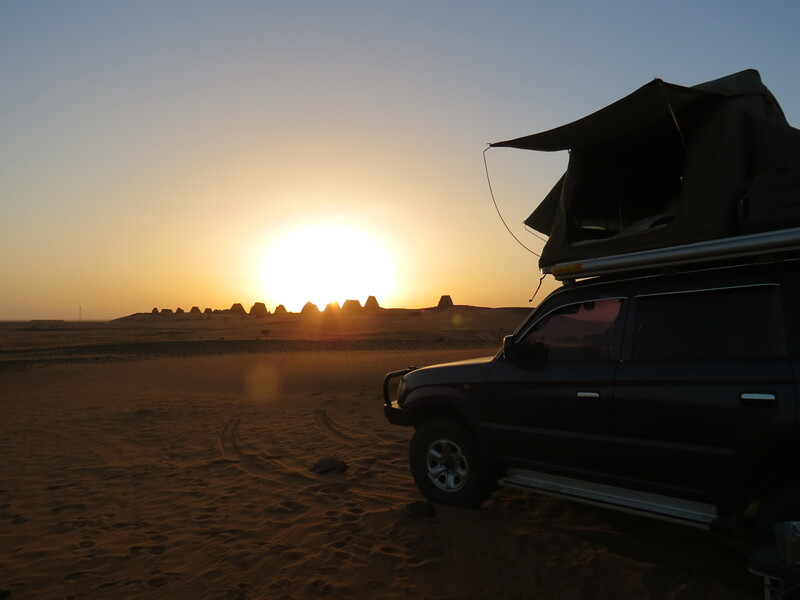 With one last pit-stop in Khartoum, we were off back to Ethiopia!